Pragati is an accomplished Telugu Newsreader who impressed everyone with her diction, news presentation and good looks. 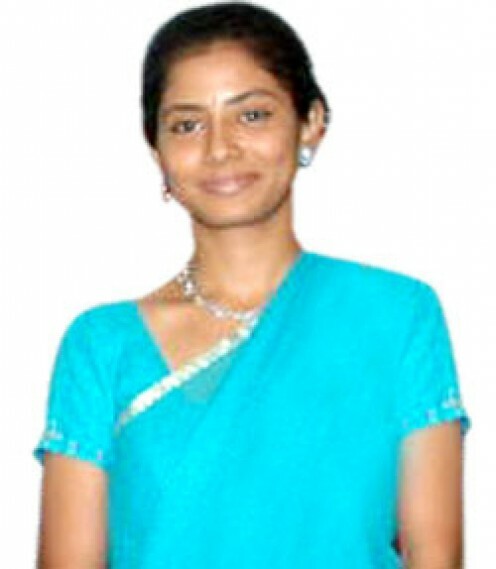 She is a well known to the people of Andhra Pradesh, India. Viewers were first attracted by her lovely face and round eyes. Even people never used to watch tv and news used to watch news at 9.00 pm to catch a glimpse of her. She began her career as TV Anchor in ETV. After becoming famous TV Newsreader, she quit ETV and later joined MAA TV. Her fans also followed to her suit and are watching MAA TV News. Nowadasy her charm and grace is disappearing and she is weak and lean with less appealing face. Pragati considered numero uno as newsreader occasionally appears as an anchor. She has recently became the founder of Pragati Media Links, which is providing the Industry with right kind of talent and resources.